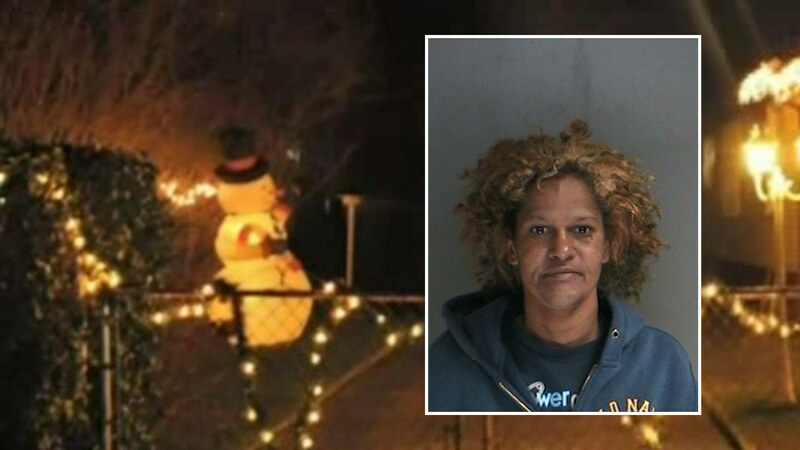 CENTRAL ISLIP, Long Island (WABC) -- The woman who allegedly made off with an inflatable snowman from the front yard of a home on Long Island was arrested on Tuesday morning. Suffolk County Police say that 31-year-old Tinisha Delacruz was the woman seen on surveillance video stealing the holiday decoration in Central Islip on November 28th. Delacruz was seen unplugging and deflating the over six foot tall snowman in approximately 15 minutes before getting away. The lawn ornament belonged to the Sepulveda family, who's had it on their front lawn for 13 years. Delacruz was charged with petit larceny and seventh-degree criminal possession of a controlled substance.